We offer paramount importance to human health and employ all conventional and advanced techniques to guarantee high-quality products. 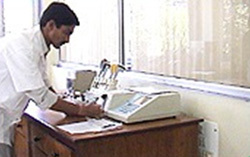 In practice, this has meant devising stringent methods and procedures for identifying, analyzing and testing so as to obtain high-quality end formulations. Rigid control over product quality is made possible by recourse to state-of-the-art machines and the latest production processes. Our commitment to excellence is evident in its day-to-day operations and quality improvement procedures. The search for excellence is in-built, continuous and company-wide. The company's staff training and awareness program promotes optimal efficiency, accuracy and open communication. 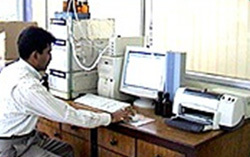 AAS is a widely used analytical tool in the field of Food and Pharmaceutical industries also. AAS with the auto sampler, graphite furnace, hydride generator and cold vapour generator for mercury for the determination of elements at PPB / PPM levels, makes it a powerful tool for the analysis of metals in any matrix. 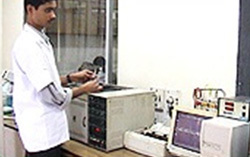 GC/HPLC is primarily used for the analysis of Volatile / nonvolatile components. Used in almost all the fields including pharmaceuticals for the analysis of organic volatile impurities (OVI), bulk drugs / intermediates, fine chemicals, dyes / dyes intermediates, pesticides, food, oils, fatty acids, perfumery, gases and in a variety of applications. One of our unique strengths is in identification of unknown impurities in your sample using GC-MS and LC-Ms instruments. Laser based particle size analysis is becoming day by day a powerful tool in determining the particle size in a variety of applications including, solids, latex, fat, solvents, emulsions, surfactants, detergents, liposomes, miscelles, proteins, macromolecules, pigments, dyes, ceramics, paints, coatings, pharmaceuticals, soft drink emulsions, water in oil dispersions, aerosols, etc. Thermal analysis system is simple and accurate method for determining the melting, boiling and decomposition points of organic compounds. It can also be used in determining purity of pharmaceutical products. Widely used to study the characterization of polymers. Also used for the determination of enthalpy (?H) heat of reaction and phase diagrams, polymorphic investigations, etc. 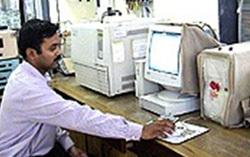 Used for the qualitative and quantitative analysis of elements from Sodium (Na) to Uranium (U) in the periodic table. It is a non-destructive technique in which simultaneous analysis of many elements is possible from 100 PPM to 100%. 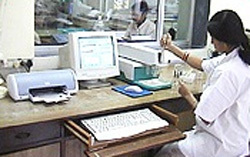 Sample can be analyzed in solid, liquid or thin film. Some of the important applications are analysis of oils for sulphur and phosphorus determination, analysis of metals / alloys, plastic, petroleum products, slurries, food and drugs, forensics, agriculture, gold, cement, bulk drugs, etc. Separation and identification of organic compounds of chemical unknowns in trace levels. Total operation through the latest window based software in SIR and scanning mode. Flexible in both EI and +ve and -ve ion CI. Availability of extensive NIST / LIBTX libraries to help in the quick identification of chemical unknowns. Detection as low as picogram levels. Applications include pharmaceuticals, pesticides, perfumery, industrial chemicals, air pollutants, polymer additives, hydrocarbons in fuels and lubricants, etc. 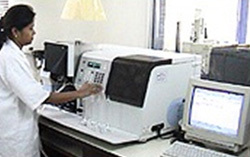 It is used for the analysis of peptides and nucleotides with electrospary ionization. Positive and negative mass spectra obtainable on alternative scans enabling mass spectra in both the nodes in a single experiment. Compatible to capillary to 4.6 mm columns. Guidelines for processing and controlling the quality of Natural Products include a format for standardizing them on the basis of their plant origin and related characteristics.